MAC Zoom Lash Mascara. The mascara features an ultra-sculpted brush that has three-sided fibresto embrace. hold and separate each lash, hugging every curve. 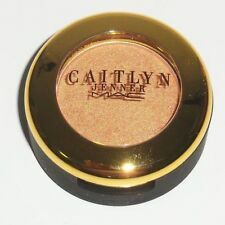 Its creamy, velvety formula builds density and conditions while leaving lashes feeling light and supple. MAC pro Longwear Waterproof Brow Set Emphatically blonde NEW RRP£15.50 Eyebrows Make Up. Condition is New. Dispatched with Royal Mail 2nd Class. MAC Upward Lash Mascara, #Upward Black, Full Size 12g. Condition is Listed a new - have used once and it isn’t for me. No box. Dispatched with Royal Mail 1st Class Large Letter. 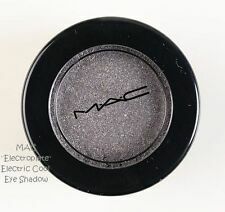 New listingTHREE RARE DISCONTINUED MAC PIGMENT COLOUR POTS 7.5g PASSIONATA~RULE~ YELLOW !!! M·A·C Upward Lash. The secret lies in the moulded brush with a hollow centre that retains a large reservoir of mascara for instant loading onto fringe. From the 2014 Objects of Affection set. Experience the lash revolution for yourself. This professional formula contains lengthening fibers that can be applied in layers to create lashes that appear to keep growing and growing. 4D Silk Fiber Eyelash Mascara can boost your lashes look like never before! From the 2015 Irresistibly Charming: Blues set. Mac Mascara False Lashes | Extreme Black | Travel Size | Ideal Spare for bag etc. Condition is New. Dispatched with Royal Mail 2nd Class Large Letter. Vial from the 2007 Warm Curiositease Collection - this is also no longer available to buy on their website and now very very rare! VERY RARE - COLLECTORS ITEM. Vial from the 2009 Sexpot Mischief Makers Collection - this is also no longer available to buy on their website and now very very rare! VERY RARE - COLLECTORS ITEM. Vial from the 2006 Little Darlings Collection - this is also no longer available to buy on their website and now very very rare! Pleasing to the Eye, Midtone Rose (Matte). Dance in the Dark, Deep Cool Brown (Velvet). Ophthalmologist tested. Dermatologist tested. Features a range of textures. MAC Eye Kohl Eyeliner Pencil Heirloom. 100% AUTHENTIC. 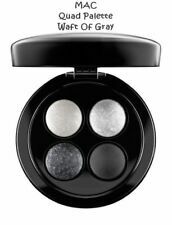 MAC Makeup Art Cosmetics False Lashes Extreme Black Mascara - 8g. Condition is New. Dispatched with Royal Mail 2nd Class Large Letter. LIMITED EDITION FROM THE MAC X SELENACOLLECTION. Color: Smolder. EYE KOHL PENCIL. Let us know if you have. Charm from the 2014 Objects of Affection Collection - this is no longer available to buy on their website and now very very rare! The result is incredibly magnified and multiplied lashes that are thick, long, curled and full-feathered. False Lashes Mascara. Shade: False Black. Warm Blonde. A retractable pencil with a chiseled tip that shapes and gently fills brows in with matte colour.